The vote is now closed, thank you to everyone that voted. Please take some time to check out the music below. 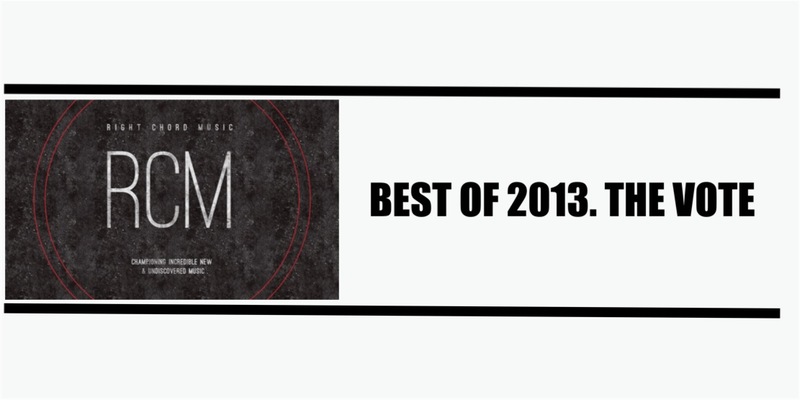 It’s been another incredible year for new music on RCM. Thank you to all of our contributors and for everyone that has listened, read or shared any of the music we’ve featured. This year the RCM blog has attracted music fans from 138 different countries, while our Lost On Radio podcast has found listeners in over 50 different countries. This year, we launched the RCMHangout Sessions and RCMHangout Festival, allowing artists to perform live online sessions from their homes to the world. For the inaugural festival we had 27 performers, from 4 countries and almost 3,000 people tuned in to watch from over 20 countries around the world. Expect 2014 to be even bigger and better on Right Chord Music. Before we look forward, we wanted to take a moment to look back and highlight the very best music we’ve featured this year. This list below features some of the most viewed artists on RCM this year. Have a listen to the sample track and click the artist name to read our review. Then scroll to the bottom of the article to vote for your favourite to be crowned the Right Chord Music ‘Artist Of The Year.’ The favourites as voted by you will feature on special edition of The Lost On Radio podcast.